In this Advanced Microsoft PowerPoint training, you'll learn how to use Microsoft PowerPoint 2016 to create professional-quality slide presentations that grab and hold your audience's attention from start to finish. 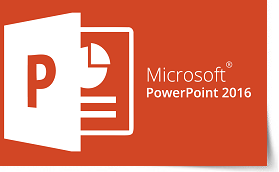 The PD Training Microsoft PowerPoint 2016 Advanced training course is designed to guide the audience by learning how to plan and create dazzling slide presentations using a variety of slide and layout masters that make global changes to your presentation in a snap. This hands-on training workshop is available now throughout Malaysia, including Kuala Lumpur and also via instructor-led online training. This course will teach you the advanced learning of this industry-standard software. Whether you're basic users or an experienced user, these lessons will teach you how to turn simple slides into a polished and exciting presentation that will make your message memorable. If you want to take your PowerPoint skills to a higher level, this is the course for you!